Enki Bilal and Goran Vejvoda: "Cinémonstre"
Renowed drawer and film-maker Enki Bilal has created a surprising editing of the themes and characters out of his 3 movies: Bunker Palace Hotel, Tykho Moon and Immortel ad vitam. 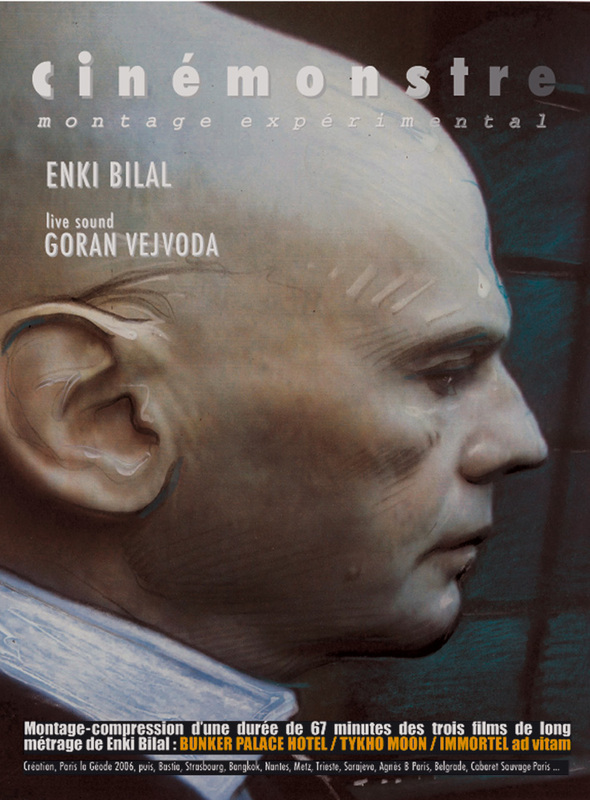 This surprising collage goes along an unreleased musical score by Goran Vejvoda, creator of 2 of Bilal’s films original musical scores – this score being part live improvisation and part mixing and editing of the actual film dialogue and soundtrack. Since January 2010 and the Festival de BD d’Angoulème, Bilal is now doing vjaying live on stage.